With our new 50+ range of LED engines, you can achieve extra punch in double height ceilings or where you need a greater intensity of light. The engines shine up to 1150 Lumens from a single downlight with an intensity of up to 6893 Candelas. Available in 13°, 22° and 38° beam widths to suit your requirements, the light has a very high CRI tested at an average of 98, with the red R9 averaging 90 to truly enhance the colours in your scheme. To make your life easier, the 50+ engine contains a tool-less high efficiency optic for easy commissioning and lens changing if required when commissioning. 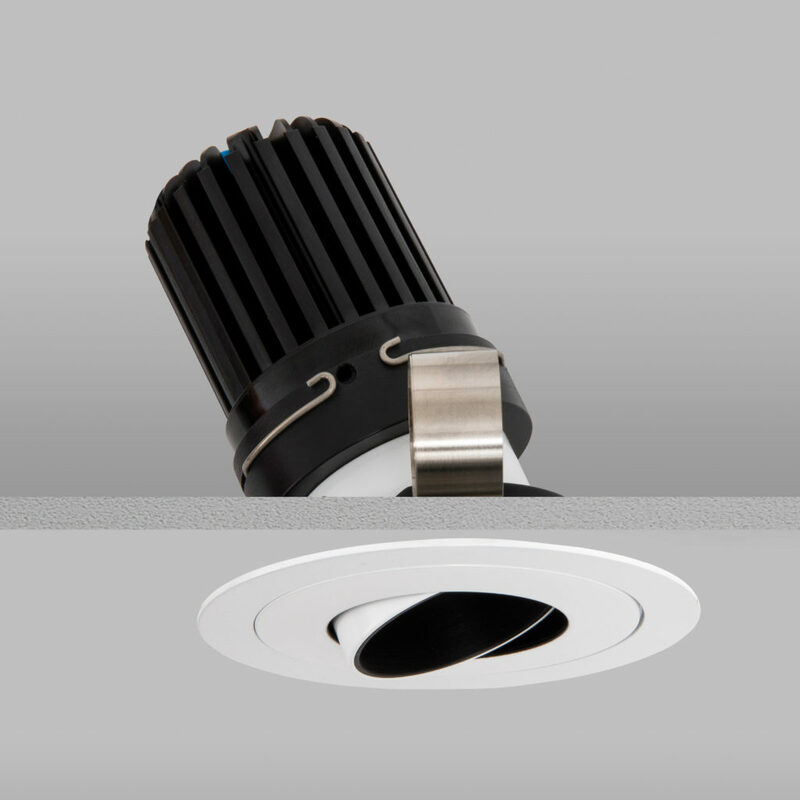 The 50+ engine fits in all our 69mm downlights including the Polespring, Mira, Flush, Polespring 360, Square – Trim and Trimless, Square Double – Trim and Trimless, Waterspring and Aquabeam. View the specification details here.